By Jessica Wohl . Published on July 06, 2018. The new packaging for Dunkin' Donuts iced coffee. Dunkin' Donuts is putting a more modern spin on its branding, while keeping that famous orange and pink logo, in the latest signal that the coffee chain is eager to give its image a bit of a jolt. "In terms of just the overall look and feel of the brand, I think it just needed a little love," says Chief Marketing Officer Tony Weisman. The very identifiable Frankfurter font that the chain uses, and the orange and pink that grace its signs, cups, boxes and bags, aren't going anywhere. Still, Weisman is eager to freshen the presentation. "These are all canvases on which to create a playful, fresh expression of the brand," he says. Iced coffee cups and packaging for Dunkin's new Donut Fries are two of the earliest overhauls from creative agency Jones Knowles Ritchie, which has been working on the brand identity and branding strategy for months and previously handled the "America" packaging for Budweiser. 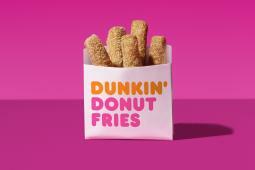 The packaging for Donut Fries, sticks of donut dough in cinnamon sugar that became available nationwide July 2, is "brighter" and "a little more playful" than what Dunkin' has done before, says Sara Hyman, North American CEO at Jones Knowles Ritchie. The summer cups include one repeating the phrase "beat the heat" and another repeating "iced" in bright colors that have already been shared by brand fans on social media. "It's a brand where you really want to use the pack as a canvas," says Hyman. Hyman says she reached out to Weisman about a branding update soon after he joined Dunkin' last fall from Digitas LBi. 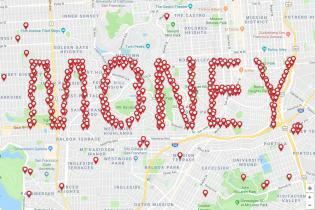 "It has an incredibly memorable and distinctive color palette, it's got amazing typography," says Hyman. "Despite all that good stuff, there's work to be done." In the agency's early work "there's still pink, there's still orange, there's still Frankfurter, but hopefully it just feels like a more fresh representation," she says. 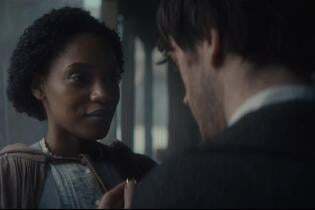 More new looks are set to debut later this year. Dunkin' Donuts has used its font since the 1970s, with orange and pink prominently featured since the 1980s. A coffee cup was added next to the name in 2002, and in 2006 it began using the tagline "America Runs on Dunkin,'" created by the chain's former longtime creative agency, Hill Holliday. Things haven't changed much since then. Dunkin' Donuts is looking to boost its popularity in its bid to become, as the company says, "America's most-loved beverage-led, on-the-go brand." Dunkin' Donuts, part of Dunkin' Brands Group Inc., has already simplified its U.S. menu and is now updating the look of its stores, opening more locations and emphasizing digital ordering to tout its convenience. First-quarter U.S. comparable store sales fell 0.5 percent, but the company expects such sales to rise about 1 percent this year. Weisman and Hyman say Jones Knowles Ritchie meets frequently with Dunkin' Donuts' other new agencies. In April, Dunkin' Donuts picked Omnicom Group's BBDO Worldwide as its new creative agency of record and named Publicis Groupe's ARC/Leo Burnett to handle retail and in-store marketing. "I tend to think a little bit more toward specialization," Weisman says of the number of new agency relationships. So, are there more agencies to be named in the near future? "Not that I can think of," Weisman says, laughing. 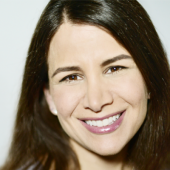 In May, Dunkin' Donuts hired MullenLowe's Drayton Martin as VP for brand stewardship, responsible for leading brand messaging across all channels, reporting to Weisman. 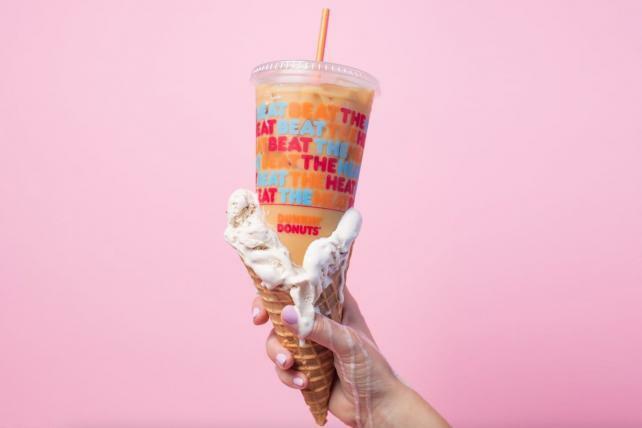 And in June, Dunkin' Donuts named a Publicis Media team as its media agency of record, with Digitas and Blue 449 handling media planning and buying. In addition to Budweiser, Jones Knowles Ritchie has worked for clients include Bud Light, Wheaties, M&Ms and Snickers, plus smaller brands including snack line Hippeas and shaving subscription service Bevel.